Skills@Work is compiled and distributed by the Australian Governments Department of Education and Training. All articles are submitted by the originating organisation and are published with their approval. Skills@Work has been a long standing publication servicing the sector as a valuable resource to disseminate skills/VET and related industry information. As we move forward, we are seeking your feedback and preferences as to the frequency of distribution, content, relevance and layout/readability of Skills@Work. Please take this short survey to ensure we are providing you with the best possible product for future Skills@Work publications. The survey will close on 18 May 2015. On 12 March 2015, the Assistant Minister for Education and Training, Senator the Hon Simon Birmingham, announced that the Australian Government will make important reforms to the VET FEE-HELP scheme to improve the quality and effectiveness of the scheme and to better protect students taking out a VET FEE-HELP loan. protect vulnerable students by requiring training providers to properly assess student capabilities before enrolment. A fact sheet for students has been released to assist students to make informed choices about undertaking VET courses. More student information available on the Study Assist website www.studyassist.gov.au. More information about the Government’s reforms is available in the VET FEE-HELP Reforms Factsheet. Updated information for VET FEE HELP training providers will be posted on the Department’s dedicated VET FEE-HELP Reforms page or you can email TSEnquiries@education.gov.au for assistance. On 27 April 2015, the Assistant Minister for Education and Training, Senator the Hon Simon Birmingham, announced the successful organisations that will form the new Australian Apprenticeship Support Network. Eleven organisations make up the new Apprenticeship Network with services being delivered through more than 280 network provider sites. Strong coverage will also be achieved in rural and remote areas via outreach servicing arrangements in an additional 160 locations. Read the Minister’s Media release here. Further information is available on the VET Reform website at www.vetreform.education.gov.au and www.australianapprenticeships.gov.au. Watch this short video explaining the benefits of applying for an Australian Training Award. For more information, visit www.australiantrainingawards.gov.au, phone 02 6240 8155 or send an email. The 2015 Australian Training Awards will be held in Hobart on 19 November 2015. • like the Facebook page. Some State and Territory Training Awards are still open! Be quick as the following State and Territory training awards are closing soon! WorldSkills Australia have selected 16 medallists from the 2014 WorldSkills Australia National Competition to participate in the 2015 BBM Skilled Futures Program in the UK. BBM Youth Support and WorldSkills Australia first partnered in 2000 to select and grant young talented competitors with this scholarship. The participants will travel to the UK to participate in a two-week leadership development course, followed by four weeks of international work experience. This once in a lifetime opportunity is designed to help enhance participants’ career prospects and provide them with invaluable international experience in their respective trades and skills. The 2015 BBM Team will enjoy an intimate farewell reception in Sydney on 15 July, and commence their journey to the UK the following morning. More information on the BBM Skilled Futures Program can be found on the WorldSkills Australia website. Do you want to know more about your learners’ work related skills or LLN skills? The Australian Council for Educational Research (ACER) is developing the comprehensive Foundation Skills Assessment Tool (FSAT) for the Australian Government. The FSAT is mapped against the Australian Core Skills Framework (ACSF) for language, literacy and numeracy skills and against the Core Skills for Work Developmental Framework (CSfW) for employability skills. Trials of FSAT have now commenced and will continue until mid 2015. Whilst ACER has received many expressions of interest in participating in the FSAT trials, more participants are required to undertake the assessments. Please consider which ACSF or CSfW skill areas are most relevant to your clients and learners and then register and request trial logins. Providers receive reports of each learner's performance against the skill in the relevant framework. Participation in the FSAT trials is suitable for your 2015 pre-training LLN assessment! For further information about FSAT and to register to participate in the trials, please visit ACER's website. 2016 Fulbright Scholarships round opening soon! The Fulbright Program is the largest and one of the most prestigious educational scholarship programmes in the world, offering a range of scholarships from postgraduate onwards. The Vocational Education and Training (VET) Fulbright Professional Scholarship is for employees within the vocational education and training sector or training leaders in business and industry. It is not for university academics who study VET as an academic discipline. staff within universities that teach in the training/skills sector of a university. The educational programme undertaken through this Scholarship should concern current vocational education and training policy or practice, and should include an educational component such as a short course and/or research. It may involve other forms of professional experience, including visits to relevant organisations. The outcomes of the scholarship must inform and benefit the wider VET sector in Australia. This Scholarship is for three to four months, and is supported by the Australian Government Department of Education and Training. For more information on the Fulbright Commission, the scholarships or the information sessions, please visit the Fulbright website. 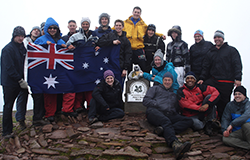 The 2016 Fulbright Scholarship round closes on 1 August 2015. Over 1.7 million Unique Student Identifiers created!! 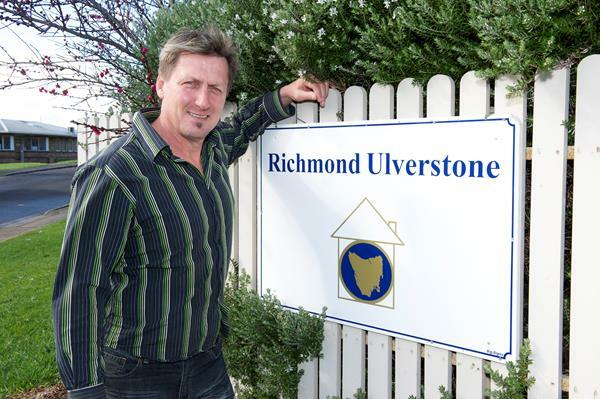 Most of Australia’s RTOs are now connected to the USI registry system, making it a part of their business. It is a requirement for RTOs to collect and verify a student’s USI before conferring a qualification or Statement of Attainment unless a specific exemption applies. It is important for RTOs to get connected with the USI Registry system to enable them to verify USIs collected from their students even if they do not intend to create USIs. If you have not already done so, get connected today! All RTOs yet to connect to the USI Registry System recently received an email with guidance on the process – Read more here. Are you currently a student undertaking nationally recognised VET training? If so, you will need a USI before you can get your nationally recognised training Certificate or Diploma. If you don’t already have your USI, create one today. It’s free and easy to do. You’ll also be on the way to having a lifetime record of all your training that you can access online anywhere. You can contact the USI Office for further information via our chat function. Alternatively, give us a call on 13 38 73 or email us. As previously advised in this newsletter, the Assistant Minister for Education and Training, Senator the Hon Simon Birmingham, announced the new model for Training Product Development for Australian Industry on 21 April 2015. MSA’s 2015 Environmental Scan has been launched, and identifies a number of key priorities for 2015. These include shifting the manufacturing dialogue to a more positive one that reflects the innovative, advanced industry that manufacturing is today, and developing management and leadership skills to effectively navigate global market conditions. The report covers the industry’s views on innovation, productivity, VET reform and policy. It identifies where the workforce development priorities are for manufacturing sectors and what training is taking place. MSA’s 2015 Environmental Scan is now available on MSA's website. Process Manufacturing Training Package workshops. Training providers, assessors and other industry stakeholders attended our recent workshops in April to gain a clear understanding of changes to the MSA, PMA, PMB and PMC Training Packages. These popular workshops hosted by Fraser Nelson and Kevin Hummel were held in Brisbane, Melbourne and Perth and provided an opportunity for stakeholders gain advice about relevant resources, implications of new Training Package formats and implementation. For further information about these workshops email fraser.nelson@mskills.org.au. Women in Adult and Vocational Education (WAVE) Conference - wrap up. This year’s WAVE Conference was a resounding success with over 50 women from a wide range of organisations attending the April 8 event. Leaders, teachers, learners, leavers: Women in the Australian VET market was the theme of this year’s Melbourne based event which delivered thought-provoking and engaging presentations from all speakers. The topics covered prompted discussion on a wide range of significant issues facing women and girls in adult and vocational education today. Jane Newton, MSA’s Research Manage,r presented on ‘Women in VET and Industry’ which was well received and highlighted women’s participation in the manufacturing industry. Ms Newton also drew attention to the release of MSA’s 2015 Environmental Scan and 2015 Women in Manufacturing Research Report as helpful resources for those with a further interest in the topic. Marsha Thompson MP, provided an insight into the Victorian Government’s actions to support women and increase their participation in the social and economic infrastructure of Victoria. Given that the Intergenerational Report highlighted the huge difference increasing women’s participation in the workforce can make to Australia’s gross domestic product (GDP), the conference was both timely and revitalising. MSA was pleased to have the opportunity to partner with WAVE to hold this conference. Read more here. MSA launches website resources for foundation skills. MSA has been strongly involved in initiatives that support VET practitioners and industry in the development of foundation skills in the manufacturing workforce. These now include an updated web page with a new report highlighting the foundation skills needs of manufacturing, and products to help practitioners map training to the Australian Core Skills Framework (ACSF). MSA conducted comprehensive mapping of the ACSF against 17 of its most highly used qualifications and four Skill Sets. This mapping information will assist trainers and assessors to clearly identify the required ACSF levels for training outcomes. View our updated page and free foundation skills resources. Integrating STEM into the classroom through real-world applications. SUBS in Schools is a STEM curriculum initiative based on the idea of educating students in four specific disciplines - science, technology, engineering and mathematics - in an interdisciplinary and applied approach. Rather than teach the four disciplines as separate and discrete subjects, SUBS in Schools will integrate these subjects into a cohesive learning environment based on a real-world application. SUBS in Schools is one program that Re-Engineering Australia (REA) embarked upon in order to promote engineering specifically to school-age students by providing technology, motivation and opportunities across Australia through a series of structured experiential education programs. REA needs your support to help the 18 schools who have so far become involved in the 2015 Challenge which can be in the form of monetary or mentoring assistance. Click here for more information. The recent Mining Indaba 2015 panel session “Improving Workforce Productivity through Local Skills Development”, hosted by SkillsDMC in collaboration with the Australian Department of Foreign Affairs and Trade and Austrade, generated interest in Africa. Attendees included representatives from the extractives industry operating in Africa, Australian Government partners and African companies seeking partnership opportunities with Australian business and government. Read more on the session here. SkillsDMC and the Technical Education, Vocational and Entrepreneurship Training Authority (TEVETA) in Zambia have in place a Memorandum of Understanding for technical cooperation and partnership. Working closely together since December 2013, SkillsDMC and TEVETA earlier this year commenced a first-of-its-kind capacity building project to enhance the local capacity of TEVETA to develop and implement skills competency recognition frameworks. Focusing on occupations within the Mining and Civil Infrastructure Industries in Zambia, SkillsDMC will support TEVETA to meet its industry specified needs. Read more on the MoU here. With National Reconciliation Week in May (27 May to 3 June) we celebrate the achievements of our Aboriginal and Torres Strait Islander students. Ashley Edwards knew he wanted to be a plumber after completing various pre-vocational trade courses. 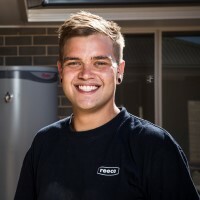 The Aboriginal and Torres Strait Islander Student of the Year finalist at the 2014 Australian Training Awards then undertook a two-week work experience placement with A. S. Carlson & Sons where his work performance was so impressive that he was offered an Australian Apprenticeship. After working in the paper industry for 32 years, runner up in the 2014 Aboriginal and Torres Strait Islander Student of the Year Award at the Australian Training Awards , Chris Medcraft and many of his colleagues were made redundant. 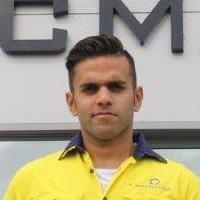 Runner Up in the 2013 Aboriginal and Torres Strait Islander Student of the Year Award at the Australian Training Awards, Australian Apprenticeships Ambassador Ryan D’Souza always had an interest in civil and mining opportunities, but it wasn’t until he began a traineeship at Macmahon Holdings that he realised how far he could take this interest. In 2013, Ryan completed a Certificate III in Civil Construction Plant Operations through Macmahon Holdings, in conjunction with its Indigenous employment centre, Doorn Djll Yoordaning. 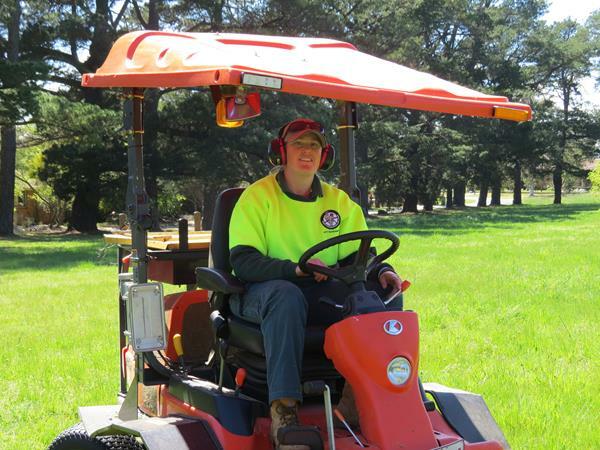 It wasn’t long before he realised that engineering and planning is where his passion lay and this was recognised by Macmahon Holdings who offered him an engineering cadetship. Since growing up in rural New South Wales, Sally Moylan has been passionate about the environment, bush tucker and caring for the land. Looking for a career path that would allow her to work outdoors, Sally enrolled in the Canberra Institute of Technology’s Certificate III in Horticulture (Parks and Gardens). In recognition of her outstanding achievements in her field of study, Sally was named the 2014 Aboriginal and Torres Strait Islander Student of the Year at the Australian Training Awards. For more information and to register visit AITD's conference website. The NALLNAC program is now available and registration is open until 8 May. Please visit the conference website for information. For more information, please visit the Forum's website. For more information about the conference, please visit NCVER’s 'No Frills' website. Please visit the WorldSkills Australia website for information. Please visit the National Skills Week website for information about locations and events. Please visit TDA's website for information. Please visit Velg’s website for information. 2015 Australian Training Awards - save the date! NSW - The professional development for training providers 2015 calendar is available here. SA – The professional development for training providers 2015 calendar is available here. Funded by the Australian Government through the Office for Women in the Commonwealth Department of Prime Minister and Cabinet, eS4W is a national women’s alliance. It is an alliance of women’s organisations united in the belief that economic wellbeing and financial security are essential for women and will enable women of all ages to have an equal place in society. As a National Women’s Alliance we take a lead in ensuring that the voices of as many women as possible are heard, especially those who in the past have found it difficult to engage in advocacy and decision making. The Alliances are made up of a mix of sector-based and issues-based women's groups each with a distinct focus and a strong capacity for networking and advocacy activities. eS4W collaborates with these other Alliances on joint projects. For more information on the Alliances’ model is available here. Apprentices, trainees and other VET students keen to improve their money management skills now have access to a free online training resource developed by the Australian Securities and Investments Commission (ASIC). Developed with assistance from the Australian Tax Office, Group Training Australia, Fair Work Building and Construction, Bendigo Kangan Institute and Innovation and Business Skills Australia, ASIC's Be MoneySmart resource can be used for accredited training as part of the Certificate III in Financial Services (FNS3011) or for general money management skills development programs. Assessors and trainers need not be topic experts. ASIC's Be MoneySmart is also available as a package for training organisations to include on their learning management system (LMS) with simple reporting requirements. To access the resource visit ASIC's MoneySmart website. A new vocational education and training resource which has been developed in Geelong by the Geelong Local Learning and Employment Network (GRLLEN) is the Geelong Careers app which has been developed for Geelong jobseekers, including retrenched workers displaced by the cessation of auto manufacturing and aluminium smelting. This new app provides a live feed of current local jobs directly to jobseekers via their phone as well as indications of trending industries, vocational education training information and services available for retrenched workers and other key groups in this region. You can download the Geelong Careers app is downloadable from here, the App Store or Google Play. Two new products from the ACT Better Linkages initiative have been published on the ACT Education and Training Directorate’s website and are available for use by registered training organisations (RTOs) and employment services providers (ESPs). These two presentations are designed to assist job seekers to decide if hairdressing is the right career choice for them. They were designed to particularly target younger job seekers who are uncertain about a career pathway, but the information included is also applicable to a wider audience. This suite of documents targets school leavers who are seeking employment. Further information is available on the Better Linkages page here. NEW Foundation skills resources now available from Aspire Learning Resources! Numeracy by Measure is a free professional development resource to build practitioner awareness of workplace measurement skills to better meet the skills needs of adults in the workplace. Numeracy in Practice is a free professional development resource to support the development of practitioner numeracy proficiency skills and numeracy training skills. Numeracy in Focus is a free professional development resource to build practitioner workplace numeracy awareness. If you would like to provide feedback, supply an article for inclusion in the next edition or join our list of subscribers, please email skillsatwork@education.gov.au. The next edition will be published in June 2015. Submissions are due by 17 May 2015.